We were taken aback when we first laid eyes on this cover — it’s arrestingly beautiful. But wait until you glimpse the interior. Dieter Braun’s art is perfection. The book takes on an immense subject matter — mountains and the life in and around them. It’s of course impeccably produced (as are all titles from Flying Eye), and one you won’t mind leaving out on your coffee table at all—nay, it’s one that deserves that coveted face-out spot on your bookshelves. 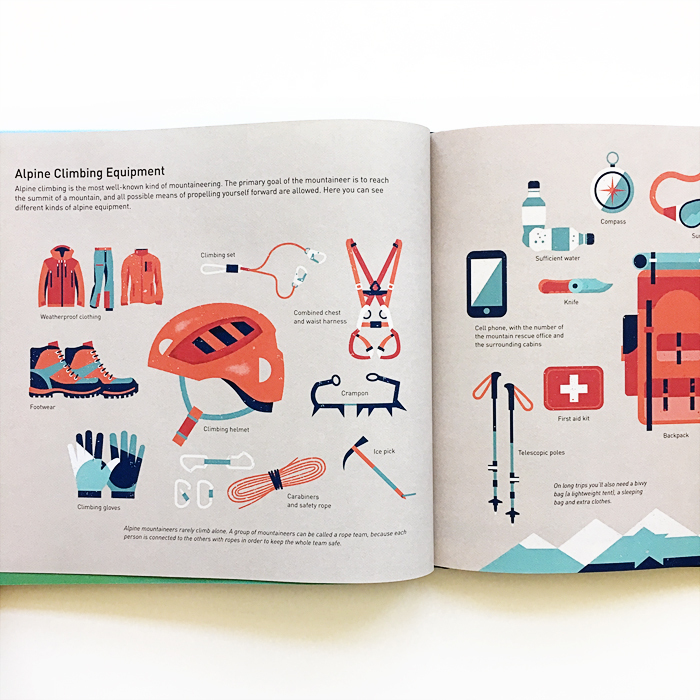 Mountains of the World was written and illustrated by Dieter Braun and published by Flying Eye Books. Out on June 5!